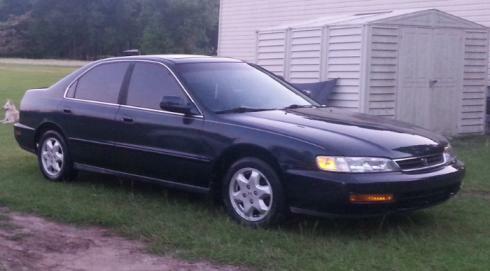 Planning on putting skunk2 lowering springs on my accord. The springs are for 1990-1997 honda accord. I have a v6 which is a bit heavier then then 4cylinder. Can I still put these springs on? Im new to this kind of thing so I need help. Send a private message to CD5. Find all posts by CD5. Hard to say with aftermarket/"performance" items. Can you contact the maker and ask them? Just received an email and nope they wont fit. What a bummer! That means Ill have to sell these and buy new ones for a v6, they cost $200. Are you wanting to lower the car or just get new springs and struts? I want to lower it a couple inches. Stock ride height isnt attractive. Cd5 Have you ever thought about going to a set of 4 coil-overs? They are adjustable from 0" to 4". ? Suspension is one thing I don't want to "cheap out on" - however a set of front OE springs from a four cyl will get you "some" drop just because of the weight.....however the unknown is the "rate" of those springs. Meaning at rest you wll have a drop, however as they travel, well things could go bad quickly. The rear should not be an issue. The 5th gen v6's are kind of an odd ball - not many around - so support for them is limited. I wouldn't put 4-cyl springs into a V-6 car. It'll drop a bit, but then they'll be too soft. You need higher spring rate to avoid bottoming the car all the time.